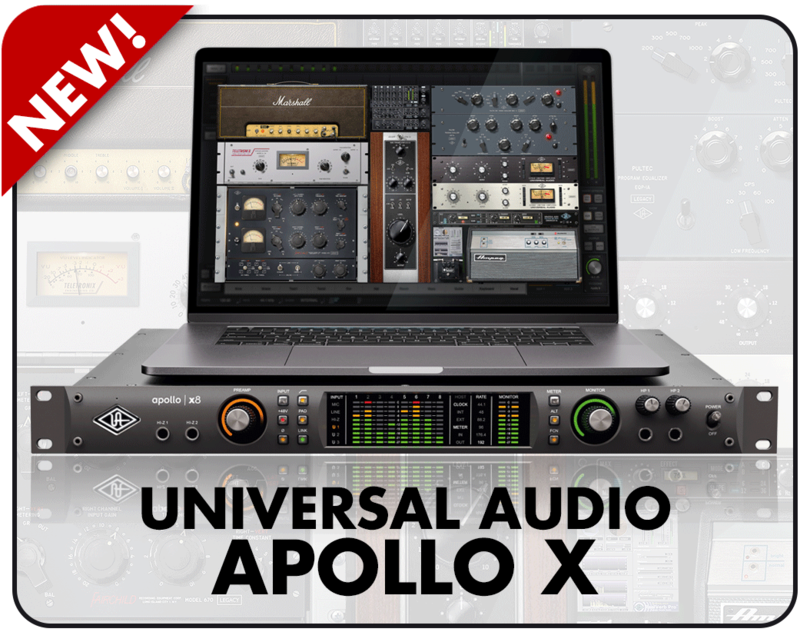 Universal Audio have revamped their range of Apollo rack interfaces with the newly announced Apollo X, significantly upgrading the converters and built-in DSP. • “ELITE-CLASS” AUDIO CONVERSION pairs 24-bit/192kHz converters with all-new analogue circuitry, raising the performance from what was already very respectable AD/DA in the last generation devices. Universal Audio claim the widest dynamic range and lowest distortion of any integrated audio interface on the market – Apollo x16 has a dynamic range of 133dB and THD+N of -129dB, which is very good! Initial listening tests against other high-end interfaces in our demo room confirm this is no idle boast – we were certainly impressed. Apollo X now puts UA firmly in the "big boys" league of converters. 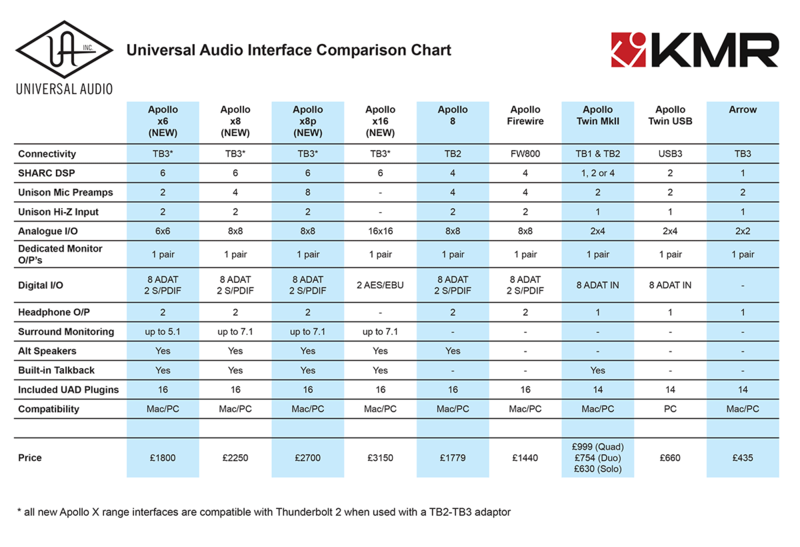 The new interfaces are exclusively Thunderbolt 3, but can be used with Thunderbolt 2 with an inexpensive TB3-TB2 adaptor without any sacrifice in performance. One side benefit is that TB3 carries 14W power, meaning MacBook users can trickle charge their laptops through the Apollo. The feeling @KMR is that Universal Audio have played a good hand with this latest upgrade. The excellent converter quality and ability to track through class-leading UAD-2 plug-ins with 50% more DSP means “studio in a box” has never sounded more compelling – especially when you start comparing prices.